I just received an e-mail from Max Büsser (of MB&F) with their latest creation, the JWLRYMACHINE. 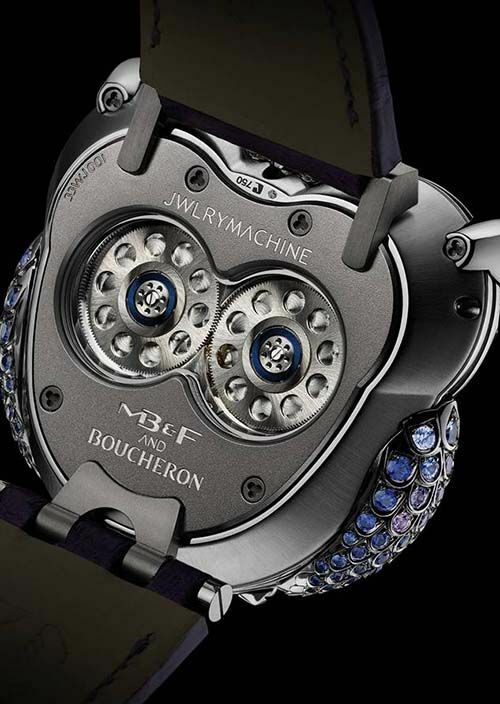 A joint venture between MB&F and Boucheron, a 152 year old high jewelry legend. You either love it or hate it, their new design MB&F Horological Machine No.3, but it is simply the best craftmanship of both worlds possible. The concept behind this JLWRYMACHINE is creating the best out of both worlds, the one of haute joaillerie and haute horlogerie. The design team of Boucheron was simply stunned when they took a first glance at the already existing Horological Machine No.3 time piece that Max Büsser and his team created. Vice-versa, Max Büsser was very impressed by the design of the Owl. He immediately picked this design out of a number of sketched made by the Boucheron designer’s team. 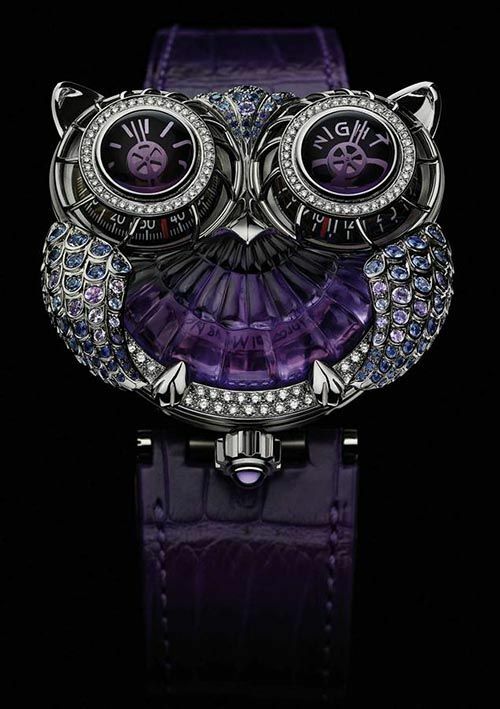 One of the most stunning features of the owl design is the translucent breast. It is formed from a single block of amethyst or rose quartz (depending on the version), which must be sufficiently large and exceptionally pure. 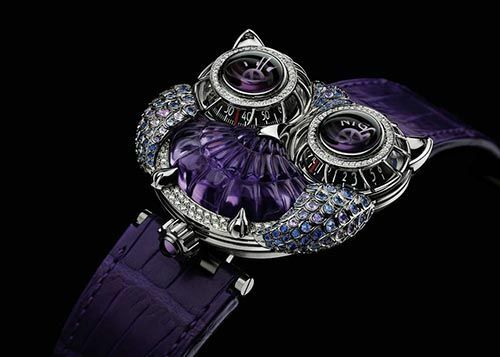 This way, you are able to see the beating heart of the owl, produced by the impressive designed rotor beneath. More information can be found at www.mbandf.com.